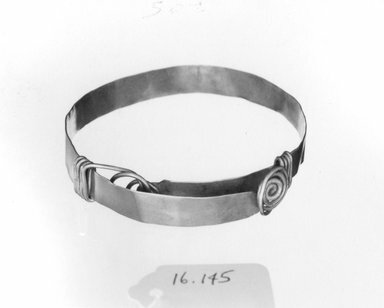 Gold bracelet, hoop composed of flat gold strip bent into a circle; ends over-lap and terminate in wire bent on each side into a spiral, then wound around hoop. Adjustable. Condition: Perfect, shows signs of wear.